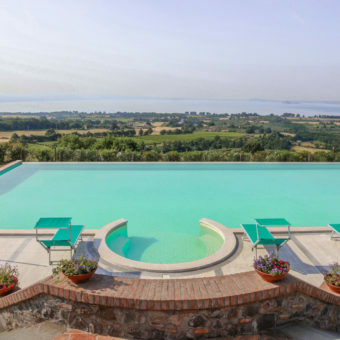 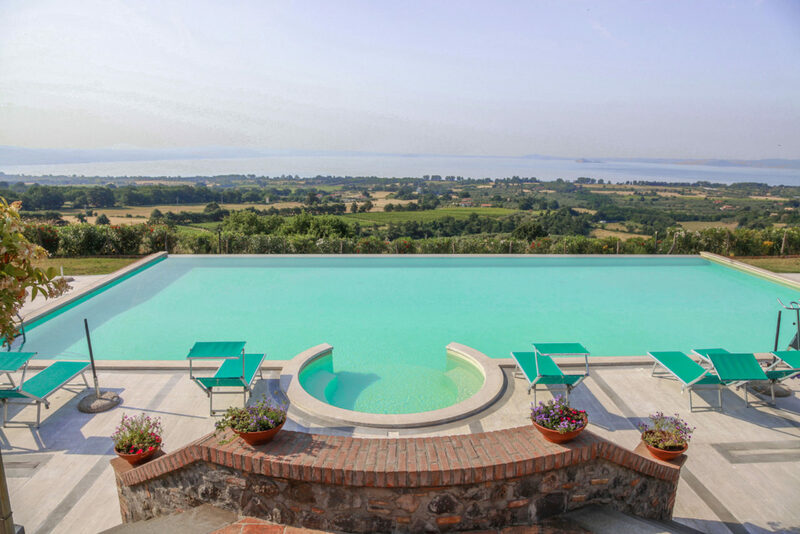 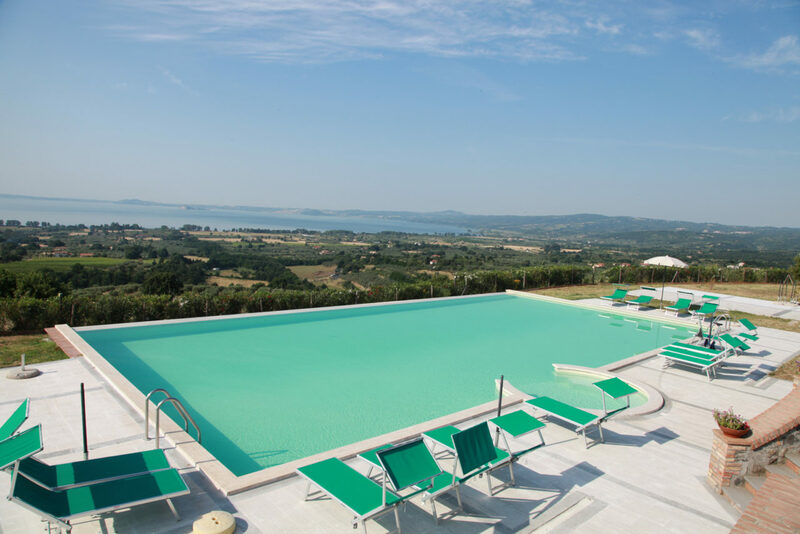 The 2 swimming pools, both in a panoramic location, receive sun from dawn to dusk. 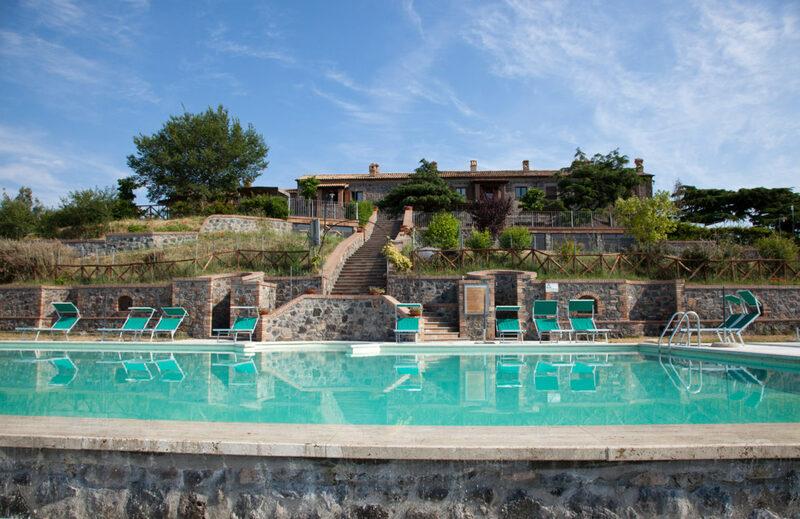 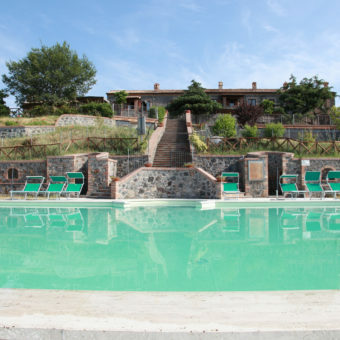 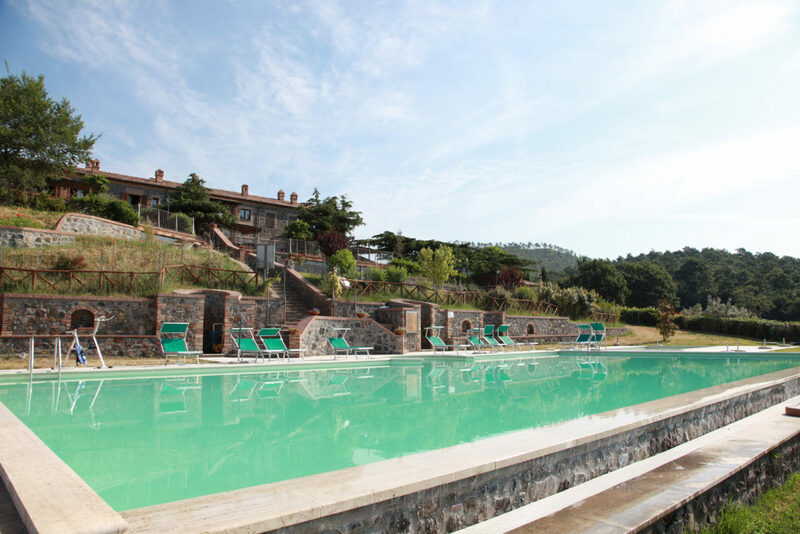 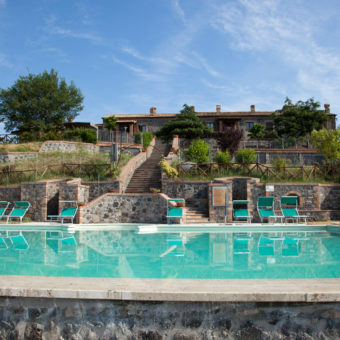 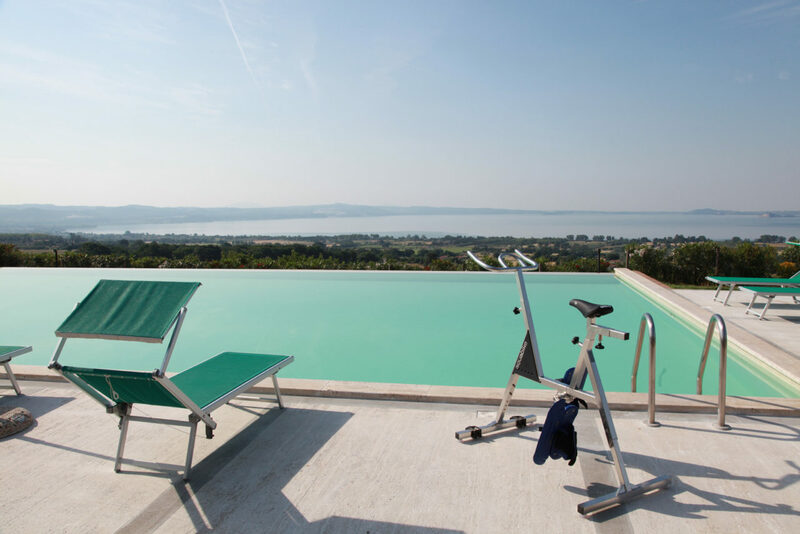 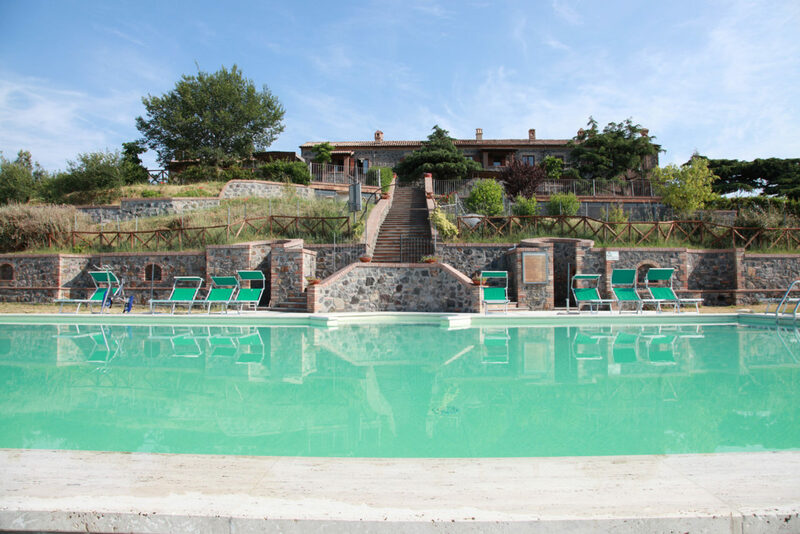 Two picturesque staircases lead to a pleasant relaxation area in this authentic corner of paradise where you will seem to be part of the lake of Bolsena. 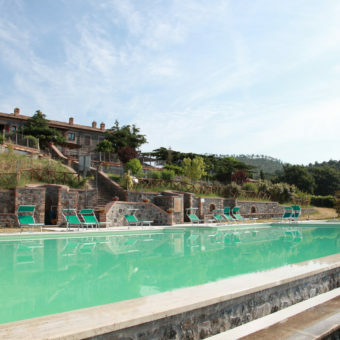 The adult swimming pool is 20 meters long and 10 meters wide, ranging in depth from 1.10 to 1.50 meters. 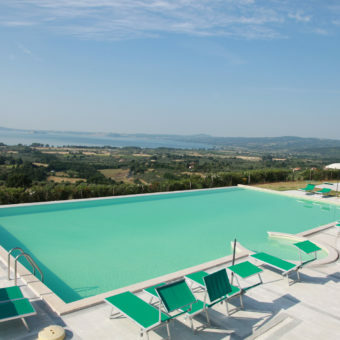 The children’s swimming pool measures 6 x 8 meters. 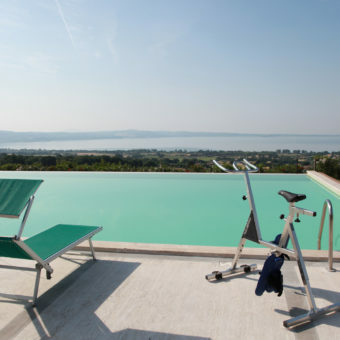 Umbrellas, cots and deck chairs in a peaceful sunny site are there for you to use.